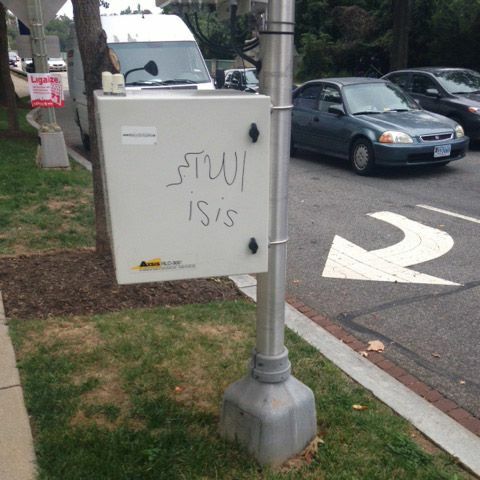 ISIS Graffiti Is Cropping Up in Washington, D.C.
On Friday, I noticed something I don’t remember seeing before: ISIS-related graffiti around my Northwest Washington neighborhood. In August, the Secret Service said they were looking into a tweet that apparently showed a photo of the black ISIS flag in front of the White House, with the message, “We are in your state We are in your cities We are in your streets You are our goals anywhere.” The Secret Service didn’t say whether they had verified the image, and I followed up with them, but apparently they’ve been busy with something else lately. 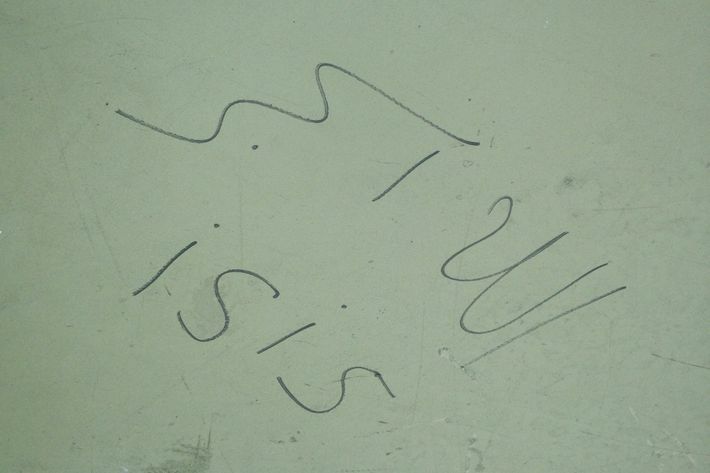 I also asked FBI spokesman Andrew Ames, who told me “we are aware of the graffiti” and “urge anyone who sees suspicious activity or if anyone has any information about this vandalism to report it to the local authorities or to the FBI.” It is worth noting, as the news about ISIS in America gets increasingly bizarre, that intelligence agencies are still not reporting any imminent terrorist threats — they are, however, trying to do a better job of reaching out to the young Muslims ISIS is trying to lure to the fight. More than 100 Americans have tried to get to Syria so far.